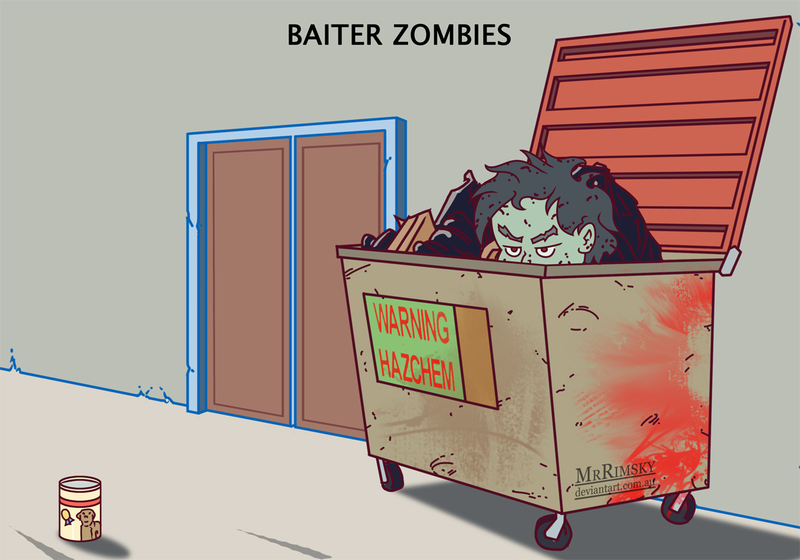 Baiter zombies will take the ambush technique to the next level by trying to lure humans to them. The most clever ones may use sound, smells or lights as lures as these can travel a fair distance, increase the possibility of a curious human coming to investigate. On a simpler level some food left out on the street may be enough to entice a hungry survivor close enough to snack on.